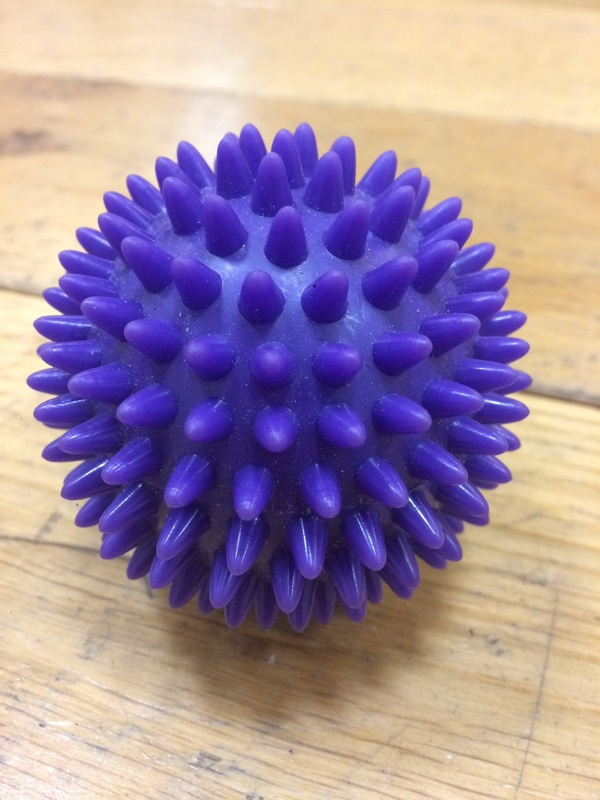 The spiky ball is a fantastic tool to use in Pilates classes. It reduces muscle tension and increases blood flow which also has a positive effect on joint movement. Easy and effective areas to use the ball are the feet, shoulders and glutes. I often begin or end the class with a little spiky ball work, either to wake an area up in readiness to do other exercises or to release areas of tension at the end. ‘Mindfulness’ is a term you often hear these days. The Pilates industry often sells this as one of it’s many benefits: Pilates is mindful movement. In an attempt to explore this a little, this week I asked some of the classes to do the entire hours session with their eyes closed. After an initial ‘really? !’ from some quarters everyone committed to it. I tried to emphasise freedom of movement, less effort, slowing down a little to increase their ability to be aware of their experience. Most of all I encouraged them to keep coming back to their breath, over and over. At the end of the class I asked what it was like. On the whole they responded much more positively then I had expected (probably one of my one assumptions that people come to get their exercise for the week and sort out their back pain!) They said they stopped worrying what everyone else was doing and felt relaxed afterwards. Yes Pilates will help with back pain, yes it’s good for core stability, posture, flexibility, co-ordination and balance, but it’s also good for creating a space in our lives that can calm you down, help you to breathe a little deeper and make you a little more aware. Find below a couple of short videos which illustrate diaphragmatic breathing which is deep and efficient.